The Partnership for a Healthier America Summit is this week, March 6-8, in Washington DC. The theme is "Building a Healthier Future." I look forward to participating in a breakout session Friday morning, March 8. Obesity prevalence among shoppers visiting budget supermarkets was three times higher than the obesity prevalence among shoppers visiting higher-price supermarkets. Does a healthy diet cost more than an unhealthy diet? It depends on how you measure it. As food prices rise, how can we not compromise nutrition by insuring access to healthy food? An earlier post on the U.S. Food Policy blog offers some approaches to thinking about the cost of healthy food, along with links to other reading and resources. 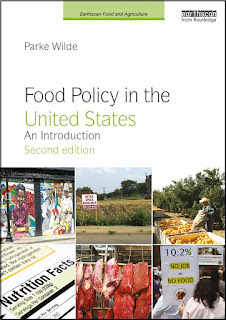 Andrea Carlson and Elizabeth Frazao published a USDA report on food costs in May 2012, which this blog discussed at the time. The Cooking Matters program from Share Our Strength has resources for healthy, affordable meals. Following the breakout sessions Friday morning, First Lady Michelle Obama is giving the keynote Friday afternoon. There are many other great breakout sessions throughout the summit.